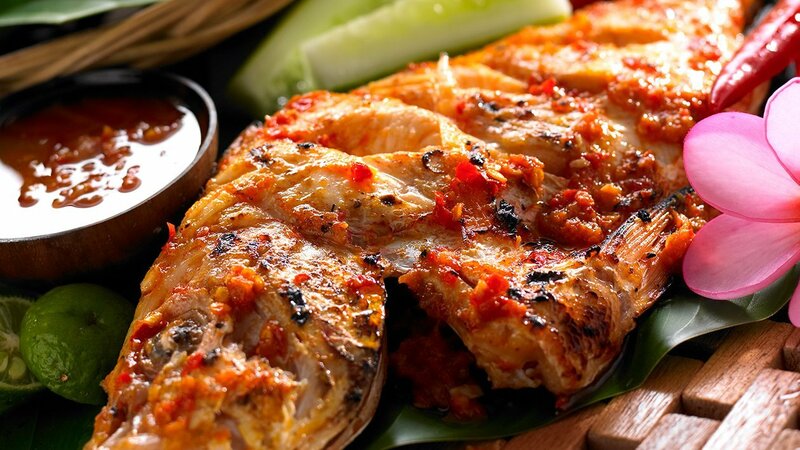 Some spices plus Knorr Seasoning for Vegetables will produce perfect taste of grilled fish. Serve with chili sauce, will be a special dish. Simply irresistible for Balinese dish. Smear the fish with mashed seasoning, seasoning for vegetables, Knorr Lime Flavoured Powder, Kecap Bango, and Blue Band Margarine. Grilled the fish into the grilled pan until it's well-done and occasionally keep smearing the fish with Blue Band Margarine and Kecap Bango. Sauté the rest of mashed seasoning with Blue Band Margarine, add the smashed galangal, lemongrass, Kecap Bango, and chopped tomato. Then, add 10 g Knorr Seasoning for Vegetables, 5 g Knorr Lime Flavored Powder and pour some water. Cook it until smells good and check the taste. Serve the grilled fish with the sautéed seasoning.